There are only a few times in our lives when all of our troubles fade into the background and we experience true happiness. Some of these moments are “big” – seeing our grandchild for the first time, accomplishing something significant, or getting married. Well, we can’t get married every day, but, we can do the next best thing – we can look for excuses to laugh. Laughter is one of the most powerful human experiences. On a physical level, laughter releases feel-good chemicals, which last well beyond the moment. On an emotional level, laughter gives our brains an excuse to “switch-off” and let go of our everyday concerns. Think about it. It’s almost impossible to feel sad, worried or anxious when you are laughing. Our brains just aren’t wired that way. Laughter may not solve all of your problems, but, it can give you a welcome break from them. When you return, you will do so with a new sense of perspective and purpose. How will you make time for laughter in your life? Is there a particular comedian that you love? Do you have a weakness for “funny cat videos” on YouTube? Is there a family member or friend that always makes you smile? Why not treat them to a coffee? 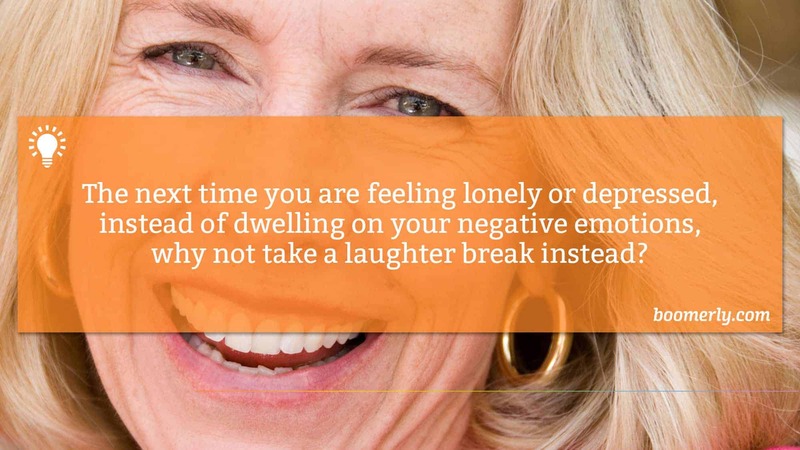 The next time you are feeling lonely or depressed, instead of dwelling on your negative emotions, why not take a laughter break instead? Your body and your brain will thank you! What makes you laugh? Do you agree that laughter is one of the best ways to forget about your problems, even if only temporarily? Please join the conversation below. Are the Lies You Tell Yourself Killing Your Happiness?